Chow Bing is opening a second location. Chow Bing, which just opened this past spring, is already planning a second location. 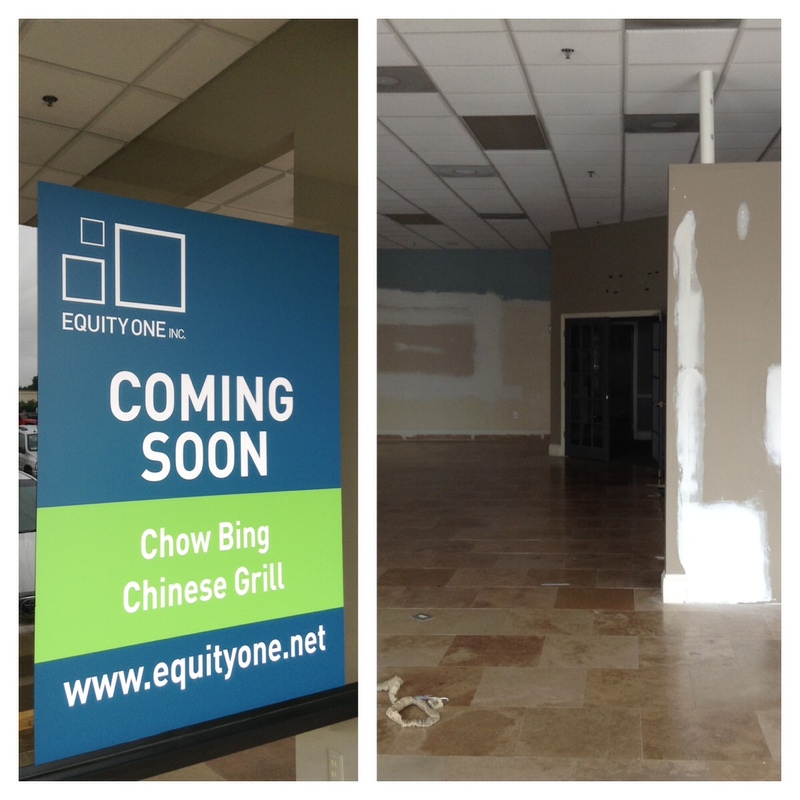 The "Chinese Grill" will open in Buckhead at Piedmont Peachtree Crossing, aka the "Disco" Kroger shopping center. Chow Bing's Buckhead space (6B) will be about 2,300 square feet or a little over half of the former Dacor store. Chow Bing's first location opened earlier this year on Decatur Street at the shops at the Pencil Factory Lofts. The space had most recently housed a second location of Virginia-Highland's beloved American Roadhouse. Chow Bing's menu consists mostly of "Bing Rolls" and "Bing Bowls" with main entrees going for about seven bucks. Similar to fast casual powerhouse Chipotle Mexican Grill, Chow Bing promotes its use of natural meats, sustainable seafood and eco-friendly packaging. Interestingly, one Yelp reader likened Chow Bing to Chipotle, saying "kind of like a Chipotle for Asian food...with an American twist." The restaurant seems to have received mostly positive reviews on Yelp where they have an overall four star rating, in eleven reviews. Given the space Chow Bing will move into needs plenty of work to turn it from retail to restaurant, it's likely the restaurant will need extensive renovation and build out time. A Chow Bing employee I reached by phone earlier in the week indicated they expect to open in "6-8 months." Are you excited for Chow Bing to open in Buckhead? Do you think Chow Bing will succeed in Buckhead or for such a young restaurant, should they wait longer to expand? What should open in the remaining portion of dacor (Suite 6A) ? Please share your thoughts in the comment section below. I've been to Chow Bing twice and been really impressed with them. It's good food and excellent service. Shame the Pencil Factory Lofts are in such a dead zone for traffic, but I'm glad that they've done well enough to get ready for a second location so quickly! How they allow more restaurants in there? There are parking ordinances and such. Getting in and out of that center is a hassle and I cannot stand the Starbuck's barriers that have been put in place.